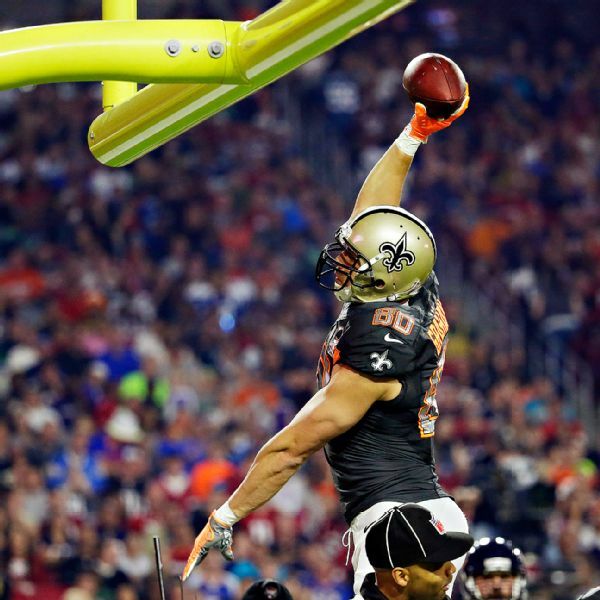 The NFL Pro Bowl, the worst exhibition game in pro sports, remains something players are forced to participate in, with Team Irvin beating Team Carter 32-28 after a touchdown pass from Matt Ryan to Jimmy Graham with 3:10 left in the game. It seems that everyone who likes to be vocal on the internet or through the media loves to make himself heard about the Pro Bowl being outdated, and no matter what idea the NFL has in an attempt to shake it up, it still puts on a bad product on the field. But the less vocal majority that brings in the money to the NFL keeps this game alive, although no one is quite sure who is playing against who and what does winning it even matter. What’s the use of having an All-Star game that doesn’t have the biggest stars in the league? Teams in the Super Bowl don’t send their players. Anyone who has even the slightest of injuries blows it out of proportion in order to blow off his invite. We’re left with Andy Dalton and Matthew Stafford as part of the six quarterbacks participating in the game, nowhere near the best in the position across the league, and that is pretty much the same across the board of positions. Stafford actually won the offensive MVP of the game, throwing for 316 yards and two touchdown passes (one interception also). Matt Ryan was the actual “hero” for team Irvin with two touchdown passes. J.J. Watt on team Carter won the defensive MVP award for his four swatted passes. Wishful thinking doesn’t make something true. The NFL will continue having the Pro Bowl just because it brings good ratings. But in terms of performance and what it actually feels and seems like? The players don’t want to be there: Not those who use every excuse possible to bail out of being selected, and not those that seem to be unfortunate enough in being chosen to play in it. Except for a way to make money, it has zero substance or use.